Treat your shoes better than your relatives! 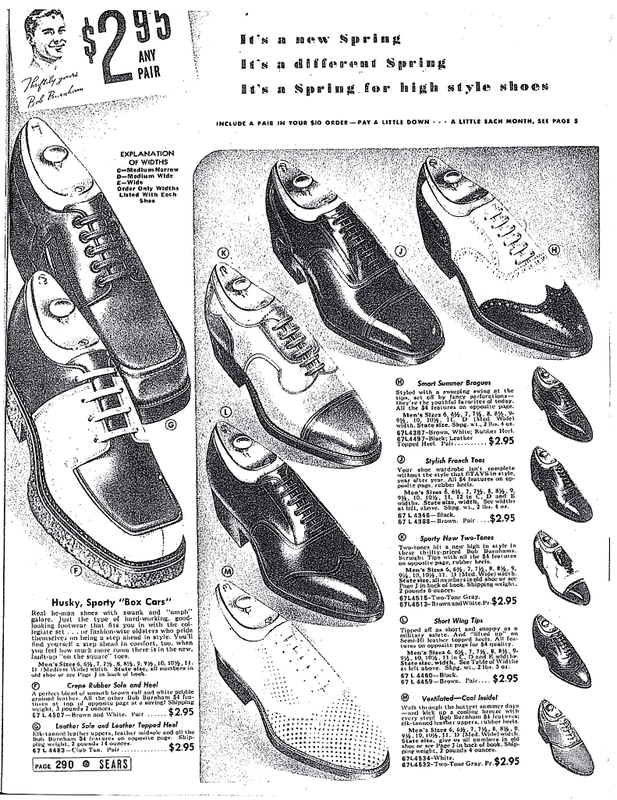 These Are Called "Spectator Shoes"
These Are Called "Saddle Oxfords" or "Saddle Shoes"
It is fairly easy to keep your Black and Whites clean and well-polished. It just takes a little patience. The following applies only to shoes in which both the white and black parts are leather. (I have seen some with suede or fur for the white part). Wash the shoes with saddle soap and very little water. Get an old toothbrush and CAREFULLY apply black polish (preferably Kiwi) to the black parts. Moisten the shoe polish in the can with a few drops of lighter fluid. (use gin if you want to be like the cats in 1930s Harlem) Brush the black polish on and be VERY careful not to get it on the white. Wrap a lint-free cloth around your finger and carefully buff the black part. Keep adjusting the rag to keep relatively clean spot on the shoe. Start by slowly working the polish into the leather and then buff it into a shine. 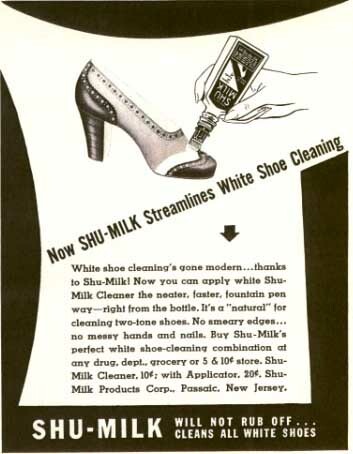 Get a bottle of "Nu-White", a preparation sold for nurses' and doctors' white shoes. The bottle has a handy applicator. Carefully put the white polish on the white leather. Let it dry and buff off with a clean rag wrapped around your finger. ALWAYS and we mean ALWAYS keep your dance shoes in shoe trees. Shoe Trees allow your shoes to dry out properly and not crack or wrinkle up. We prefer cedar shoe trees, but the plastic kind that they have in drug stores will work fine. Part Two: Do You Need Another Pair? You may need several pairs of shoes because you will find different kinds of floors. 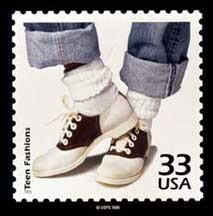 For a nice slick floor like Glen Echo, smooth rubber soles, like saddle shoes or white bucks are excellent. For carpet (yes, you find it) leather soles are best. For asphalt tile floors, you might want to invest in a pair of bowling shoes -- the modern ones look like running shoes but they have a smooth sole. Allan Edmonds -- these are top of the line British dress shoes that run about $250-$300 per pair. Nordstroms can get you factory seconds at a third of that price. Bass --- these are the standard issue red-sole saddle shoes that we all wear for practice. Go to a Bass outlet store and avoid paying retail price. Make sure that the shoes that you get have smooth soles, not ribbed tread. Willits --- these are the genuine "Catholic Girls School" shoes with very hard leather soles. They can be ordered in womens size ranges from local Stride Rite stores. You will, however, have to convert from adult sizes to childrens' sizes. Aris Allen -- these are the favorites of competitors. You can get them in a wide variety of styles and colors from dancestore.com at about $60-$70 per pair. Bob Kleinpeter has an interesting trick --- he buys golf spikes, which may often be found in saddle shoe or spectator designs at thrift stores for about $2 a pair. 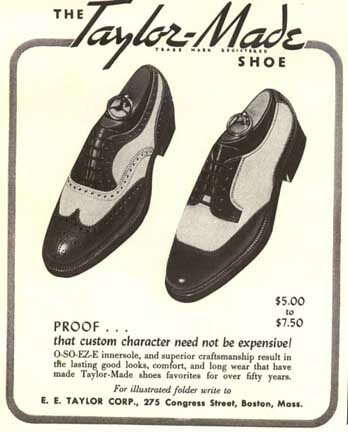 These are generally very well-made shoes which can be taken to a shoemaker to have the spiked soles replaced with leather or rubber for about $30. Since these shoes can be really cheap, you can experiment --- go to a craft store for leather paint and make them any two-tone combination you want! If you want to do some floor maneuvers such as the Driveshaft or Pull Throughs, it helps if you have leather shoes. We created a set of "hybrids" for my partner --- we had the rubber heels on her saddle shoes replaced with leather. It cost $20, but it is well worth it. 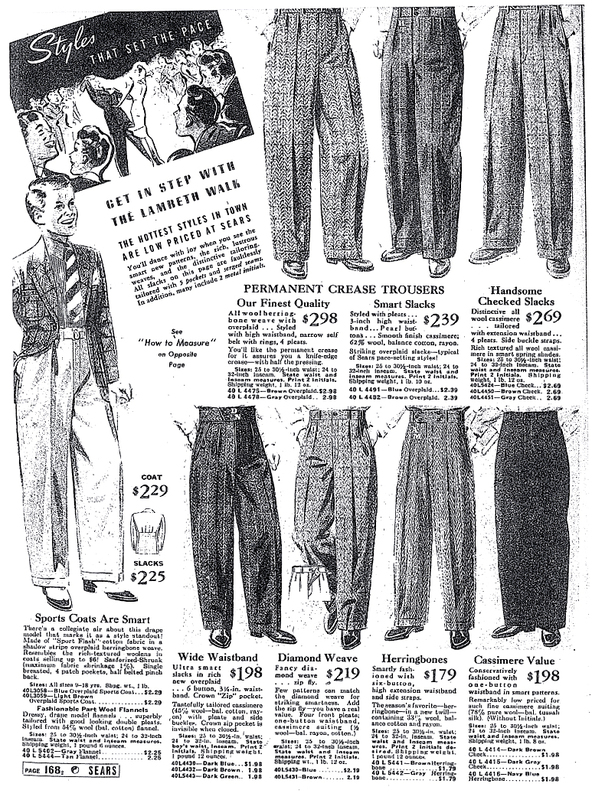 Did Lindy Hoppers Really Wear Black and White Shoes in the 1930s? 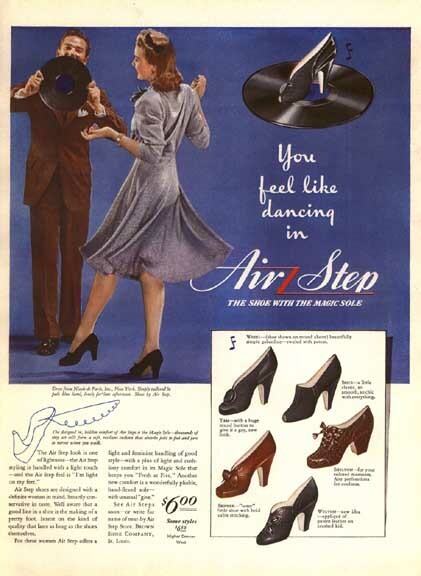 During the month of June 1997, we asked people to write in and offer actual proof that Lindy Hoppers really wore black and white shoes during the 1930s and 1940s. These are the responses to our request. I was looking through a book (in the music section at Barnes and Noble, Georgetown) on the New York jazz/swing era, and found a few photos of dancers in Harlem. 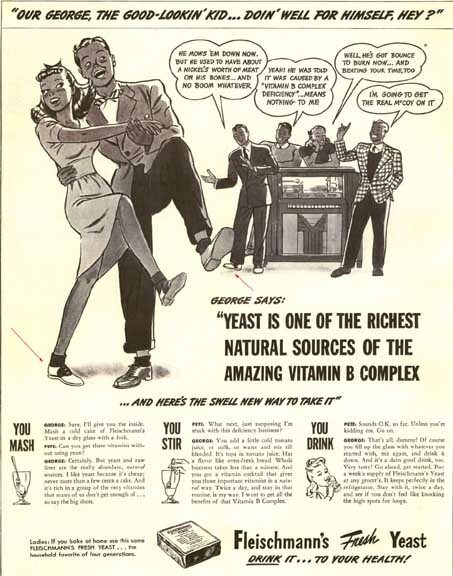 One of them had a woman dancing in black and white flat dance shoes (which look a lot like ones that women in the DC community wear). I saw a couple of crowd pictures with women in higher heeled spectators and a woman in saddle shoes (watching dancers). In another book, I also saw a portrait of Marlene Dietrich (I think) in heeled spectators and a long gown. It appears that spectators have often been fashionable among women! One of the photos included a male dancers in wing tipped shoes, but they weren't spectators. Steve and I went to BORDERS and got SWING ERA, NEW YORK, by W. Royal Stokes (Temple University Press, 1994) featuring the Jazz photographs of Charles Peterson. It's a book Beavis and Butthead would like. Lots of pictures, not too many words. Page 203 features a mob of jitterbugs with their feet up on the stage of the Meadowbrook Ballroom (Cedar Grove, New Jersey -- now probably an oil refinery) and seventh from the bottom right is a chap with the scuffiest saddle shoe I have ever seen. He must have been a bad lead if the girls kept stepping on his feet! 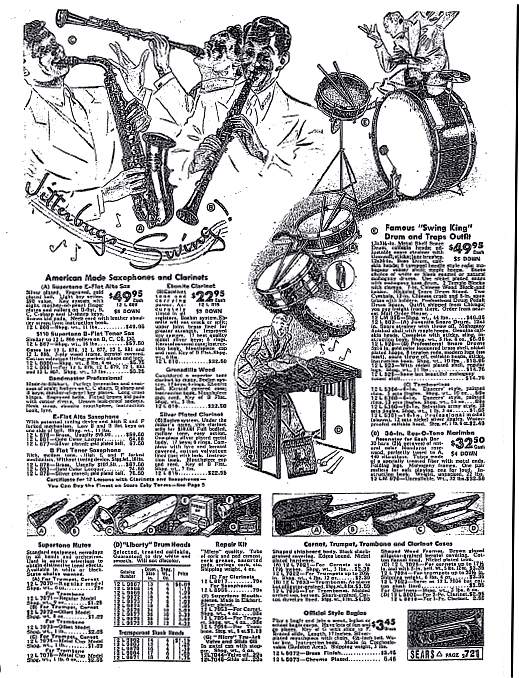 And Page 205, same ballroom, a circle of dancers are watching a jam. Girl in plaid skirt with flowered sweater and her partner in a suit and tie are wearing SADDLE SHOES, complete with the trademark "Charleston Scuff" featured prominantly on the young man's toes. They are in the cuddle up position and look ready to take over for the couple in the middle.